Chattanooga is nestled in the mountains and offers a charming setting for your next meeting or convention. 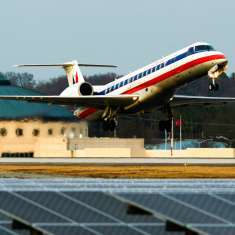 Attendees have easy access to Chattanooga via the interstate and nearby airport. With an abundance of outdoor activities and distinct seasons, anytime is an ideal time to plan a meeting in Chattanooga! Cost of guestroom accommodations range from economically priced to luxurious. 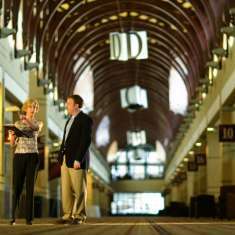 There are 2,250 first-class guestrooms downtown, most on the City’s free downtown electric shuttle providing attendees easy access 7 days a week to restaurants, shopping, downtown attractions and the Chattanooga Convention Center. An additional 8,250 guestrooms are in the surrounding area 5-15 minutes away. The Center offers 185,000 gsf of multi-purpose function space on one-level plus 11 loading docks and farm to table in-house food and beverage service. Additional venues in the downtown area can accommodate groups from 20 to 3,800. Enjoyment of unique off-site venues and exciting attractions will provide attendees and their guest’s ample opportunities to generate lasting memories. CVB support services are available to enhance the success of the events and also provide attendees information about Chattanooga. 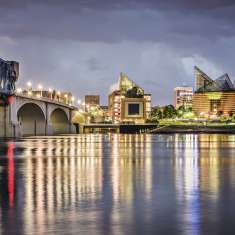 Chattanooga’s abundant offerings combined with its natural beauty and rich history, Southern Hospitality, and reasonable costs guarantee your convention will be a success.